It is the fag end of autumn here. Trees and bushes are laden with flowers. Air is nippy and nights are cold. It feels nice and light to have a few slices of bread and hot soup for dinner. My search for whole wheat bread ended at www.breadexperience.com I finalised on a whole wheat bread. It is a bread made with the bread machine. But I always knead the dough with my hands, an activity I find very relaxing. After a rigorous kneading session, I realised that the dough was a little hard (perhaps due to honey). I added some more water and kneaded again. It took about 10 minutes for the dough to reach the desired softness and elasticity. The bread needs only one rising. 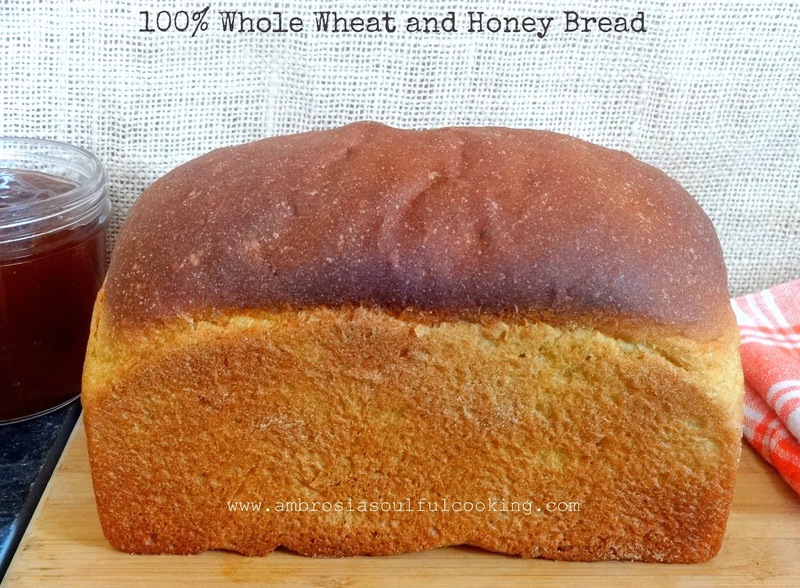 It has a lovely flavour of honey and hence, the name 100% Whole Wheat and Honey Bread. It requires a lot of muscle power to knead the dough, but is worth giving a try. I have halved the ingredients. Add instant yeast to warm water, cover for 15 minutes. Whisk whole-wheat flour and salt. Add olive oil, mix well. Add honey and milk to water yeast mixture. Grease one 8 ½ x 4 ½ inches loaf tin. Roll the dough into a rectangle no wider than the loaf tin you are using. Roll the dough towards you, tightly. Pinch seams to seal. Place the roll in the greased loaf tin with the seam side down. Cover and keep it to rise for 1 hour or till the loaf becomes double its size. Bake in a pre-heated oven at 190 degrees for 25-30 minutes or till the bread becomes brown and the bottom of the tin sounds hollow when tapped. Remove from the oven and remove from the tin after 10 minutes. Cool and slice it the next day. So perfect . Will definitely make this and let you know. This looks so amazing and to know that it is super healthy is such a bonus. 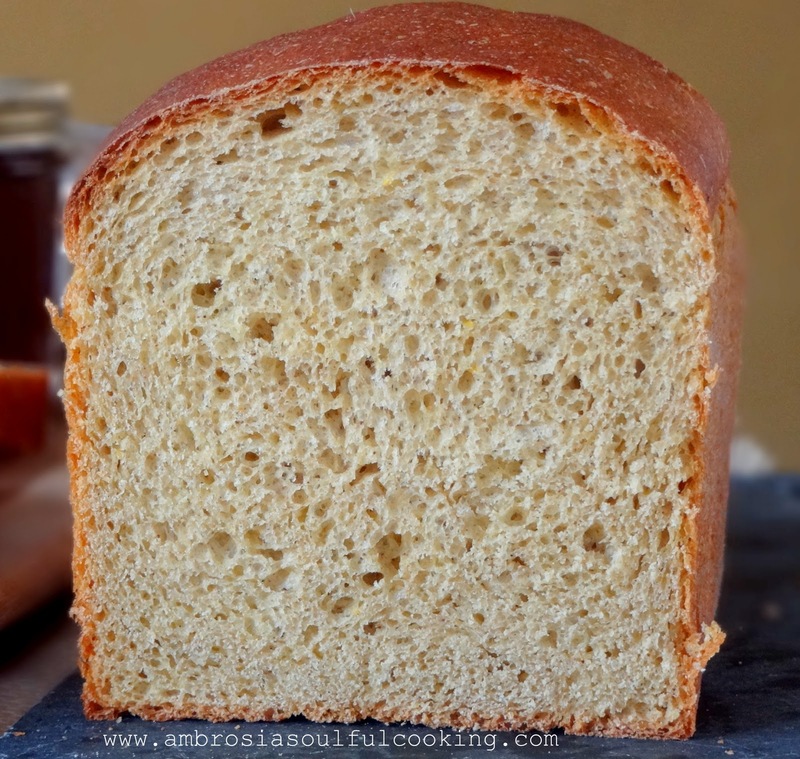 Lovely texture and easy to follow recipe. Thanks for your motivating words. I love baking breads and it becomes all the more special when my friends try out my recipe and write to me. How can i get in touch with you? Hi, I use instant dry yeast. My brand is "Four Seasons"
Hello Aakanksha, You have gone wrong no where. This is wholewheat bread. The crumb is dense. My bread was also dense. I guess you can make out from the pictures. However, if you want a lighter crumb, try 50% all-purpose flour and 50% whole wheat flour. Hope you are happy with your results next time. Happy Baking! Hi Namita, Thankyou so much for such an easy and amazing recipe. I tried it yesterday and came out perfect!! Just a query, the size of the bread was much smaller than our usual bread loaf, and then I read your post which says you halved the ingredients. Could you plz tell me the measurements using 3 cups of wheat flour?? Hello Laxmi, Nice to hear from you. I am so happy that your bread came out well. Yes, this is a small loaf. 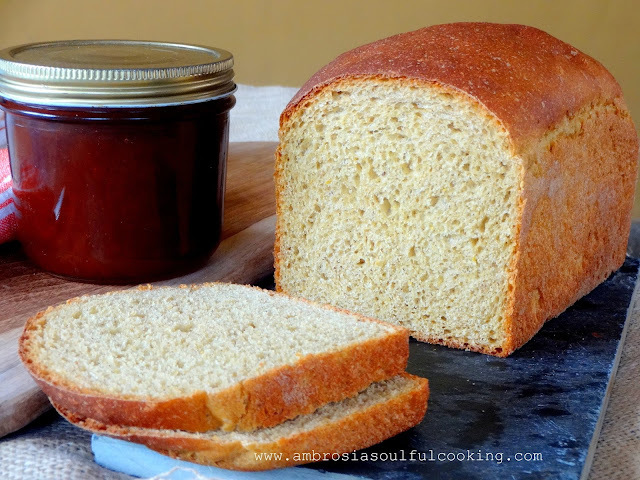 To make bread from 3 cups of whole wheat flour, add about 3/4 cup warm water, 1 1/2 teaspoons of olive oil, 1 1/2 teaspoon salt, 3 1/2 tablespoons honey. Quantity of yeast will remain the same. Dough will take longer to rise. 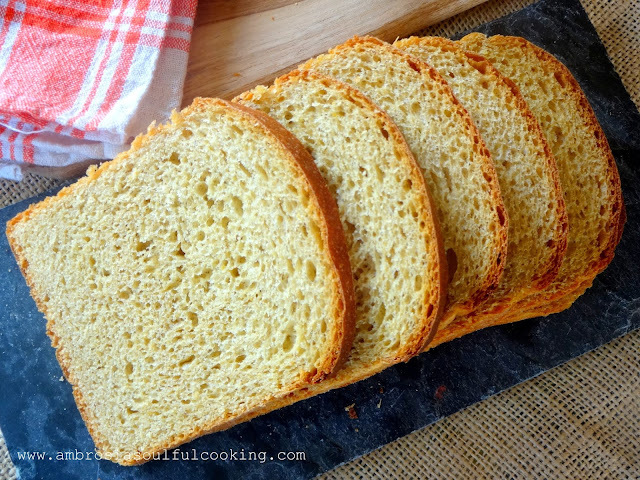 Use 8x4 inch bread pan.